5 plots of land, fenced round with gate for sale in New Owerri with a verified certificate of occupancy (C of O) situated at a serene built up environment at housing area A, New Owerri, Imo State. Neighboring First Bank and Federal High Court and other built up residential buildings off Port Harcourt road new Owerri. Purpose: Public plot good for siting a school, Hospital, Guest house or residential houses. 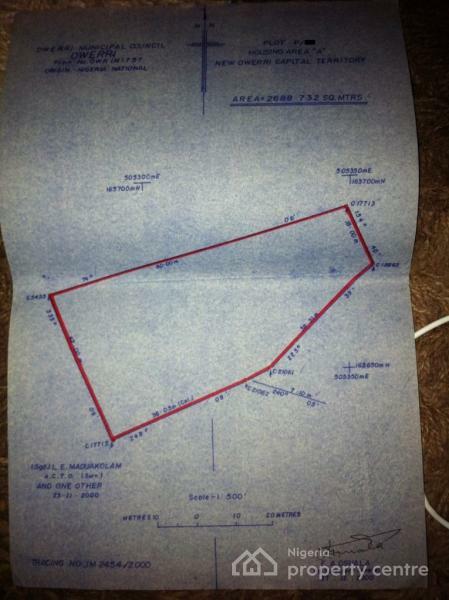 Location: Strategically located big size P(public) plot at Housing area A, New Owerri, Imo State.